Though it appears as though this is two drops of water, it is actually only one drop. 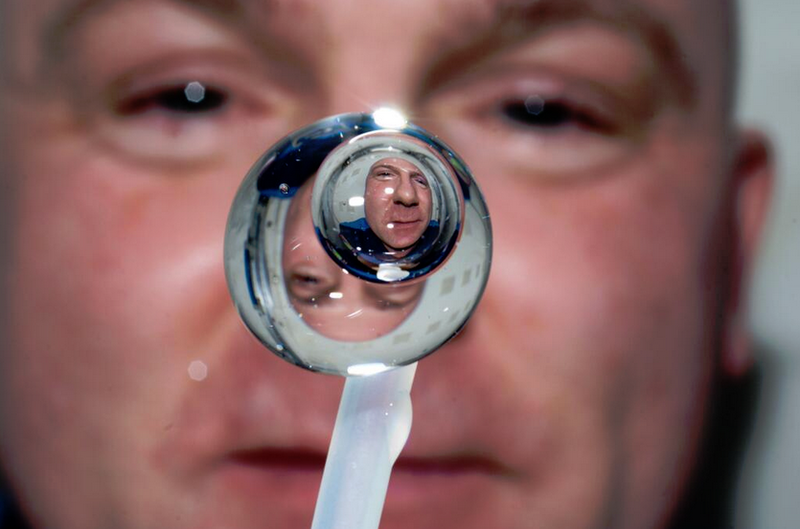 An air bubble was placed inside the water using a straw, then Kuipers posed behind the drop just right for the photograph. Pretty cool! 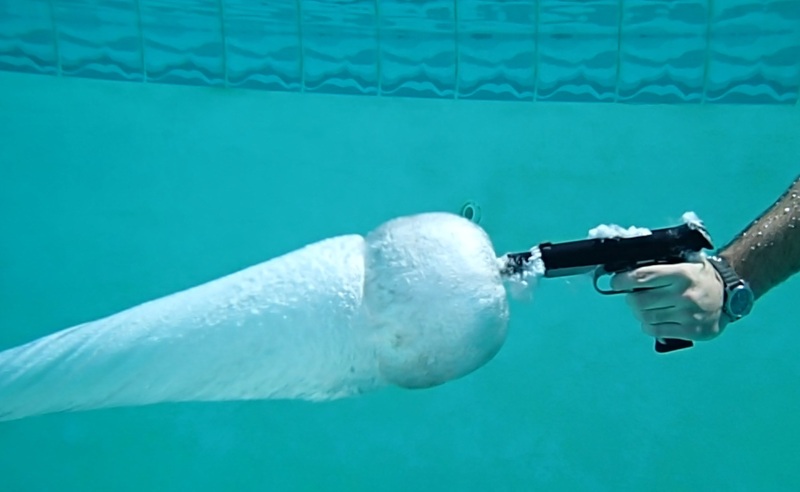 Not many people get to experience what it looks like when a firearm is shot underneath water, and one enthusiast decided he had been deprived for too long. So Andrew Tuohy did what anyone with a Glock 22, a swimming pool, an underwater camera, and some courage would do–make a video of himself shooting the handgun underwater right in his own backyard. I’m no firearms expert, but I can’t say that I would recommend anyone trying this themselves. Tuhoy’s Glock fired without fail, and the resulting video does look pretty cool, but Tuhoy says the force from firing the gun underwater made his chest feel as though it had been kicked in. 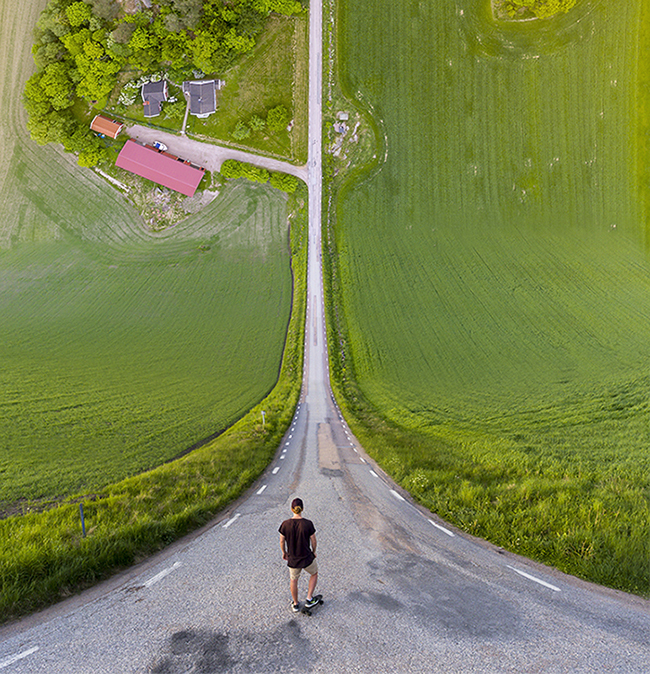 The result gives a great sense of mystery and fascination, as the green pastures complement the vast majority of the picture and make it look surreal. The tone is quite smooth and well-rendered and doesn’t look overdone. Ezzif draws a fine line between reality and fantasy with this beauty. 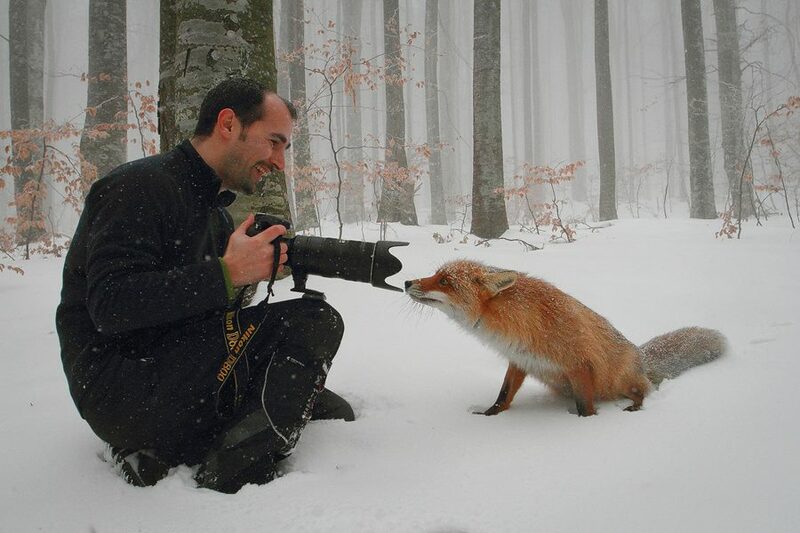 The fox happened to be raised by a local forester, and so it became rather friendly around small (and quiet, if possible) groups of people/tourists. Dan says it’s still prudent to keep your distance from this kind of wild animals — you shouldn’t even try to feed them, as they may act strangely and realize you’re some kind of a menace to the species. 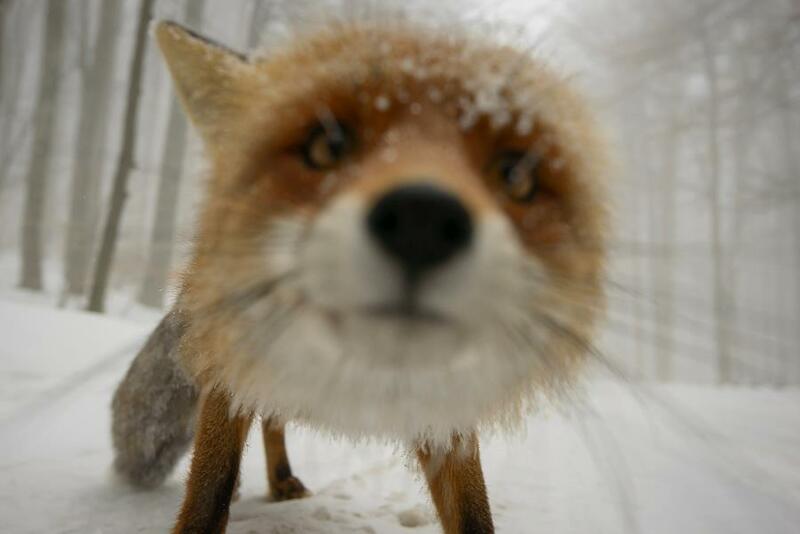 As a matter of fact, Dan states that it was the fox itself who took the liberty to get closer to him, and not the other way around! 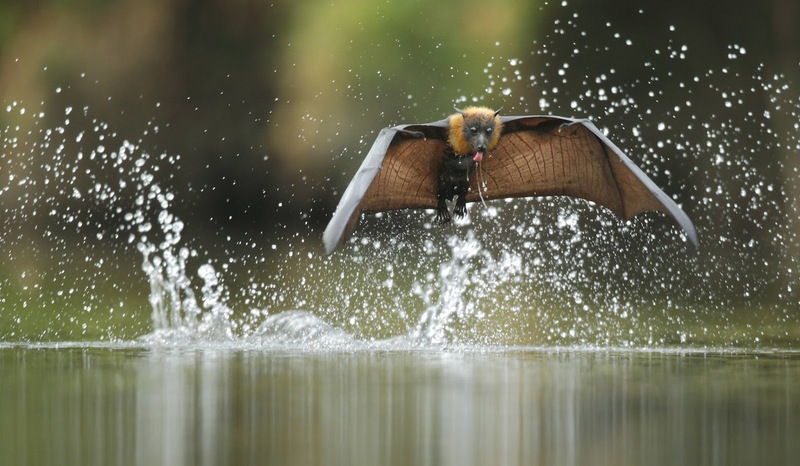 “Fly-By Drinking” by Ofer Levy (Via Imgur. 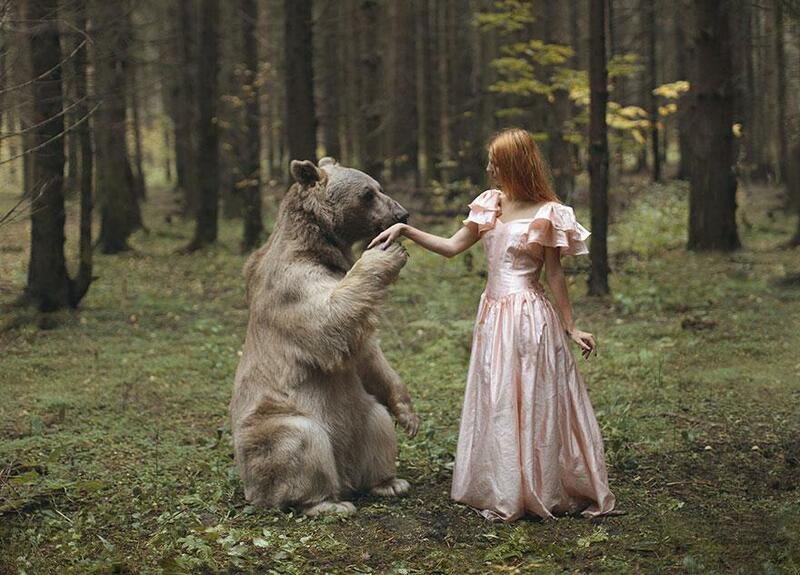 This fairytale image is one of a whole portfolio created by Russian photographer Katerina Plotnikova, who shoots with a Canon 5D Mark II. On her site, you can find many more soft-focus portraits of redheads hugging animals of all kinds: deer, chipmunks, owls, moose, raccoons and even, somehow, an elephant. Between shots, the bear’s trainer fed the bear to make sure it, you know, didn’t maul and devour everyone onset. “World of Fairy Tales” by Janez Tolar (Via Imgur. 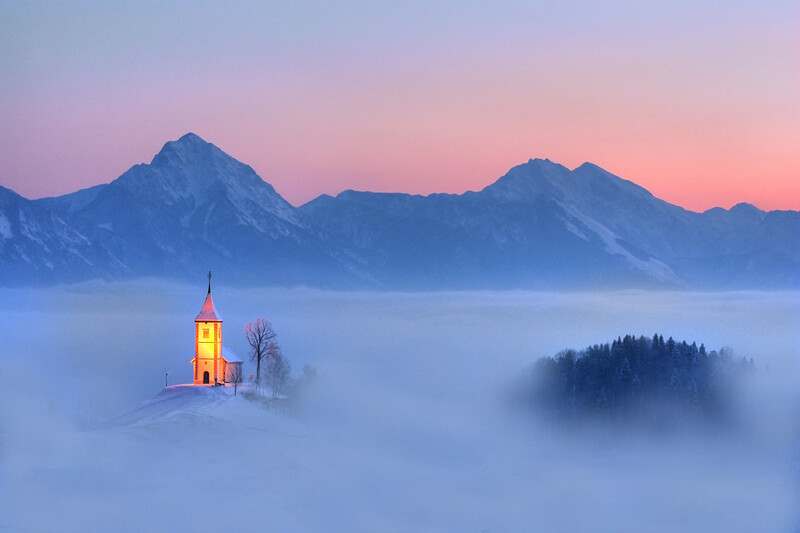 Janez Tolar captured this amazing image of The Church of St. Primoz in Jamnik, Kranj, Slovenia. This magnificent backdrop creates a stark contrast beetween the historic building and nature itself. He was able to blend the warm colors of the sky and cooler tones of the mountains and fog to highlight the glowing church. His body of work includes shots of this church during different times of the day and year. During the evening, the church is lit as shown. It really adds to the atmosphere of the fog and shadows covering the area. Well, some might say it’s pure luck, others will say it’s the result of hard and intensive work – and I prefer the second option. 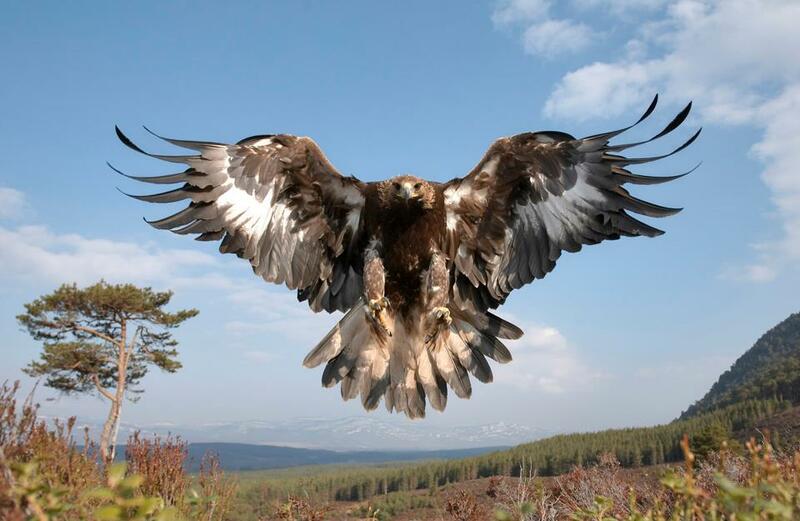 But we can’t deny to the fact that photographer Peter Cairns (whether out of luck or out of patience and persistence) achieved a glorious and majestic picture of a sub-adult female golden eagle in flight, at Cairngorms National Park, Scotland. The picture is part of a wild nature series, called Tooth and Claw: living alongside Britain’s predators. With his wife, Peter Cairns founded Northshots back in 1999, and has been racking up numerous competitions awards, producing several books and authoring projects such has Tooth & Claw, Wild Wonders of Europe and 2020VISION. Peter is also an associate of the International League of Conservation Photographers and the director of The Wild Media Foundation and Wild Scotland, the country’s representative body on nature tourism. 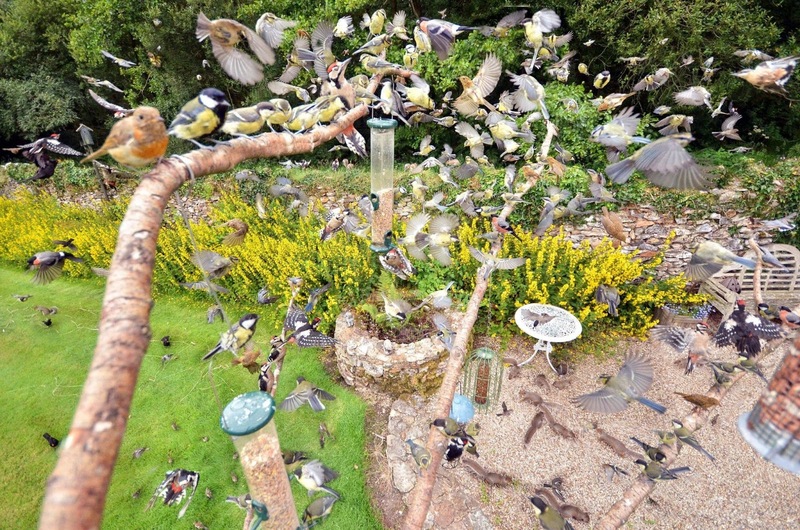 Busy Day at the Bird Feeder (Via Imgur. 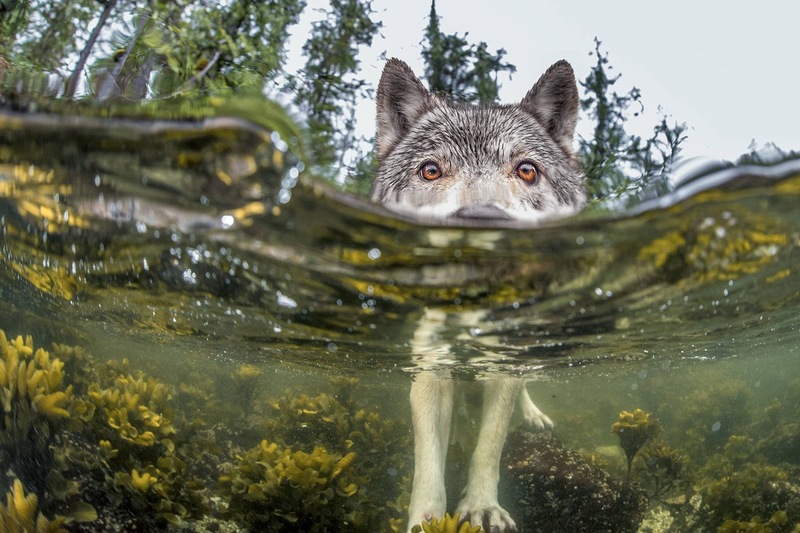 “Wolf Checking Out Partially Submerged Camera” by Ian McAllister (Via Imgur. McAllister used an underwater housing to capture the image of this elusive creature while on the coast of British Columbia. The wolf was eating a herring roe, when it stopped to examine McAllister’s half-submerged camera. Amazing wildlife photography requires a delicate balance of patience, a good eye, a way to enhance your subject, knowledge about what you’re photographing, and a passion for nature. IT’S ALWAYS INTERESTING WHEN YOU GET PROFESSIONAL PHOTOGRAPHERS WHO CAPTURE THESE PHOTOS – ON PURPOSE, OR BY ACCIDENTLY ON PURPOSE. BUT WHATEVER THE CASE… THEY ARE SOME PHOTOS THAT ARE WORTHY OF TALKING ABOUT AND SHARING WITH THE WORLD….. PLEASE. Thanks to Picture/Correct for the use of these magnificent photos.